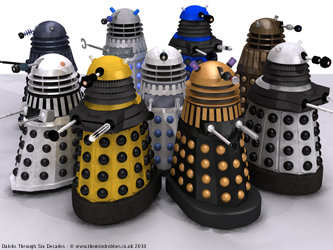 Stephen Moffat's first year in charge saw a major redesign of the Daleks for the first time in their 47 year history for the story Victory of the Daleks. 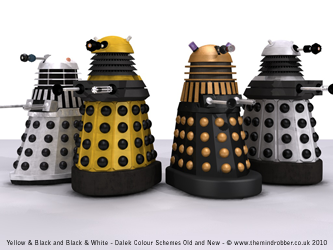 It was clear when the new Daleks' heads were glimpsed in the New Years Day trailer in January 2010 that the changes would be significant. Victory of the Daleks was the third episode of the 2010 series 5 of Doctor Who, and Steven Moffat's first year in charge saw sweeping changes. 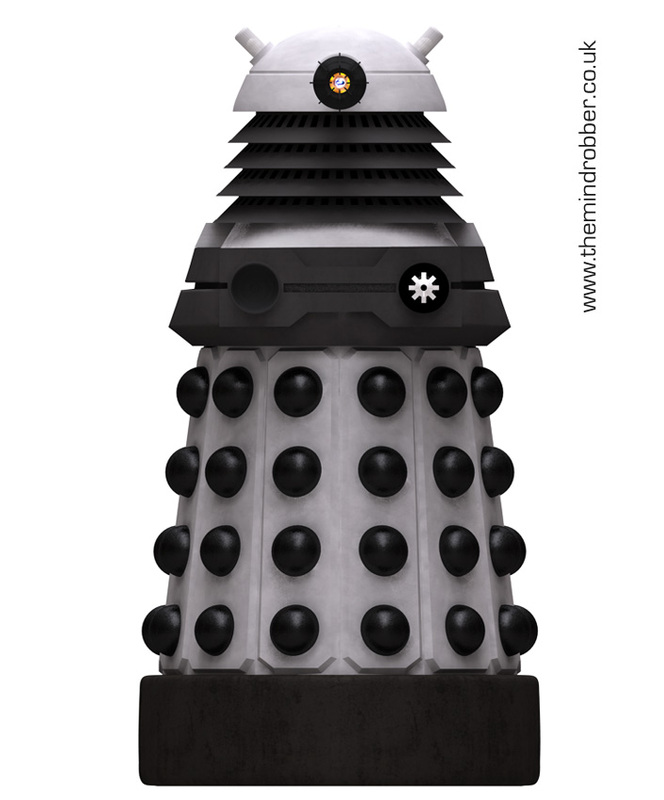 Not withstanding a new lead actor and supporting female, there was a new look for the exterior of the TARDIS, an absolutely extraordinary new control room on the interior, and perhaps most infamously of all, a new look for the Daleks. Unlike every Dalek in the prevoius 47 years, these props were not based on the Shawcraft silhouette established in the secondDoctor Who story.With the arguable exceptions of the 1985 'Necros' Props from Revelation of the Daleks, and the Imperials from Remembrance of the Daleks, no Dalek had ever before strayed from the outline set out by Bill Roberts and Ray Cusick in 1963. 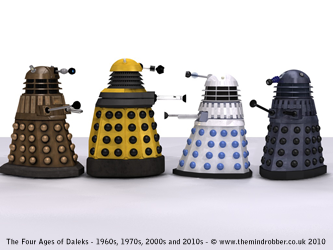 Even the Peter Cushing film Daleks were exactly the same shape, but with larger fenders and a few extra details. 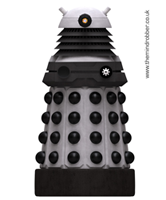 The 'radical' 1980s Dalek changes mentioned above still didn't really deviate from the usual outline, except to the eye of the Dalek obsessive. 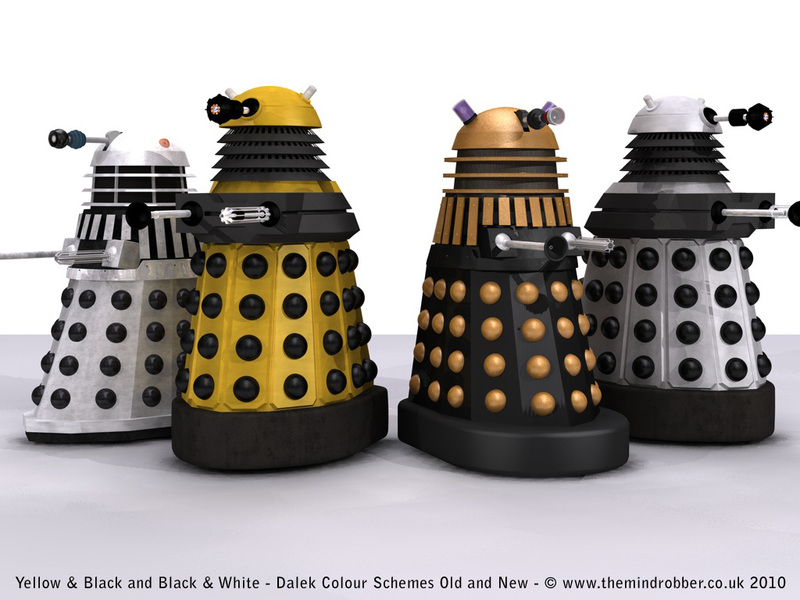 The new 2010 Daleks were altogether different. 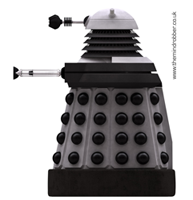 No only did they have a missing rear panel, an expanded shoulder section and massively extruded gunboxes, but ever minor detail had changed. 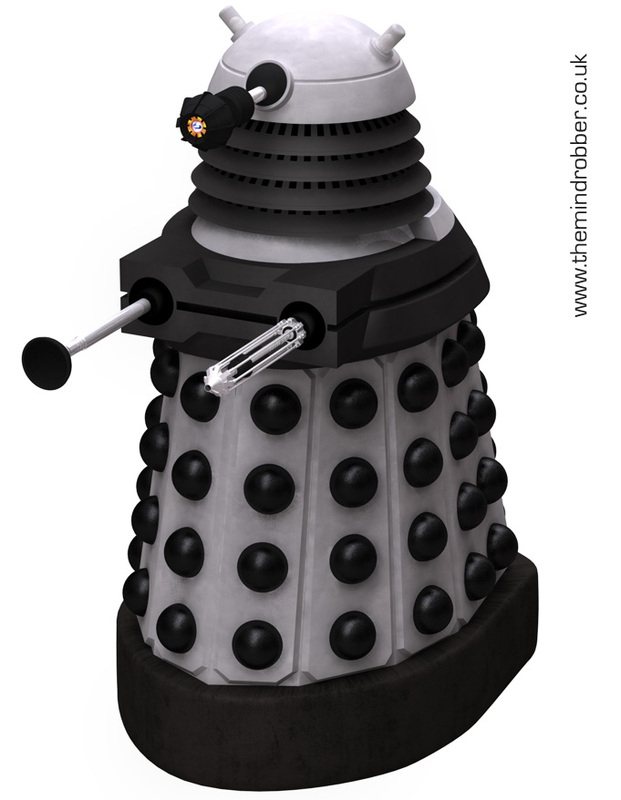 The skirt panels were raised with chamfered corners, the neck section was now a stack of four tapered tubes instead of the cage it had been,the eye no longer had a cyclindrical pivot but was instead spherical, plus there was a redesign for the eyeball, gun, and sucker. In profile, these new props appear to lean forward, with their mid-section reaching out. In previous Dalek designs their 'spine' was quite straight, giving them a more linear shape, but the new variation appears shorter since the shoulder section is shorter, despite them actually being much bigger. 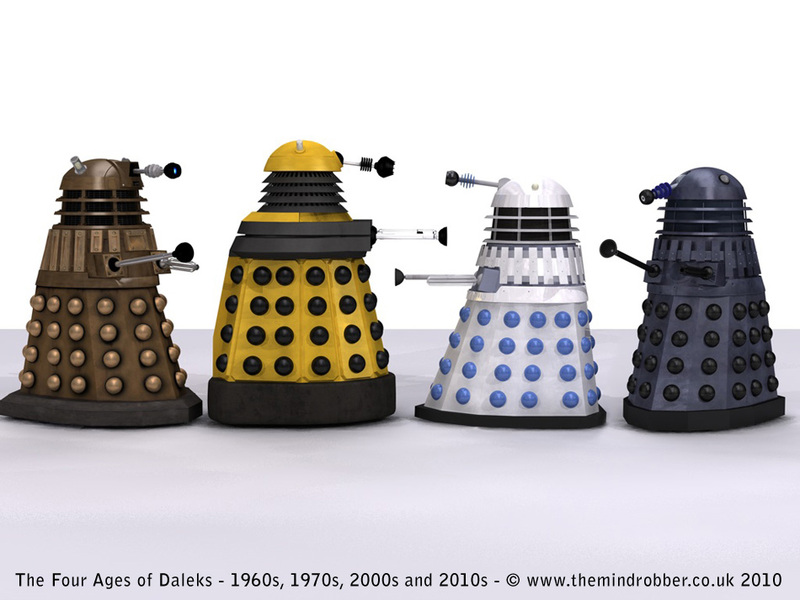 At over six feet tall they are also the largest Daleks ever built.